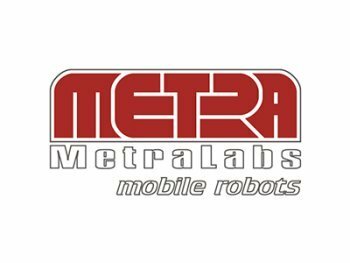 MetraLabs is a German SME specializing in the development and manufacturing of high-performance mobile robot platforms and complete service robot applications for retail, industry and research. MetraLabs has been pushing the boundaries of mobile service robotics since its foundation in 2001, among other things launching the first autonomous shopping assistant robot in 2007, deploying the first clean room measurement and handling robot in 2009 and setting up an installation of 50 cooperating mobile service robots in a shopping mall in Asia in 2013. MetraLabs maintains close ties with academia to further current research by providing technology and expertise, as well as to integrate state of the art research into its products. It has been involved in several health-related research projects, including CompanionAble, RobotEra, HOBBIT, ROREAS, ALIAS, STRANDS and others. Today, MetraLabs is one of the leading manufacturers of mobile service robots with over 200 robots in active use worldwide. MetraLabs’ robots have autonomously driven over 60,000km in dynamic environments such as shopping centres, stores, fast food restaurants, museums, clean room fabs, factory halls and research labs.